Product prices and availability are accurate as of 2019-03-16 11:57:13 EDT and are subject to change. Any price and availability information displayed on http://www.amazon.com/ at the time of purchase will apply to the purchase of this product. 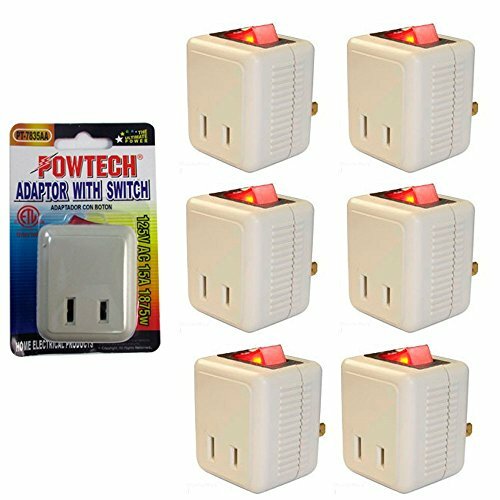 6 Single Port Power Outlet Wall Tap Adapter Beige On Off Lighted Switch Control New !! 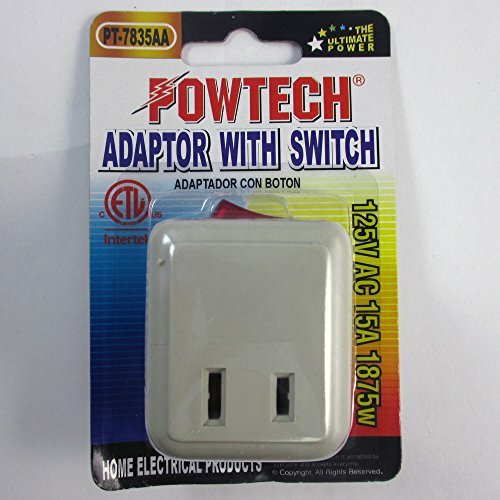 This adapter with switch measures: 1.5" W x 1 5/8" L works with any US standard AC outlet. Easy access design accommodates large and standard plugs. Control your electricity and save money with the lighted on/off switch. 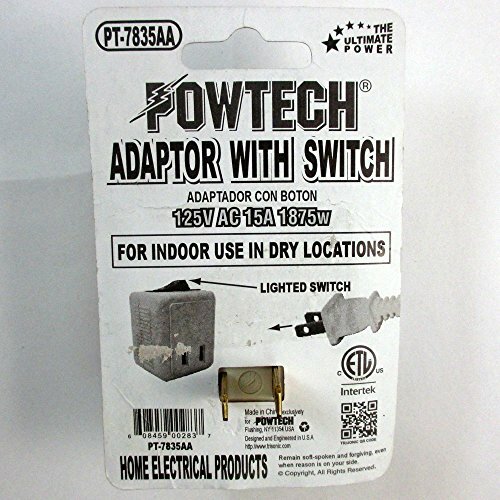 Use for indoor tools, appliance and lamps, perfect for devices or peripherals without built in power. This 2 prong power adapter makes it easy to turn power on/off when not in use without unplugging. For indoor use in dry locations, 125V, AC 15A,1875w, lighted switch makes it easy to find in dark locations.